The U.S. restaurant industry employs 14.7 million people. The range of duties extends beyond chefs and waiting staff. Each restaurant role is distinct and requires specific interview questions to identify the best person for the job. 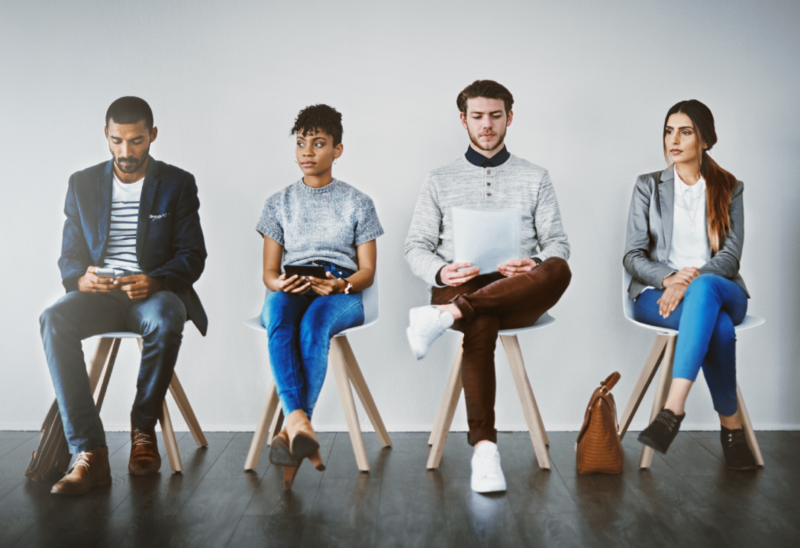 As a restaurant owner or hiring manager, it’s your responsibility to come up with suitable interview questions (and your ideal answers) when hiring for every position at your restaurant. The range of staff required will depend on the type of restaurant you own. There will be more corporate jobs, like marketing and management roles, in large restaurants or fast food chains. 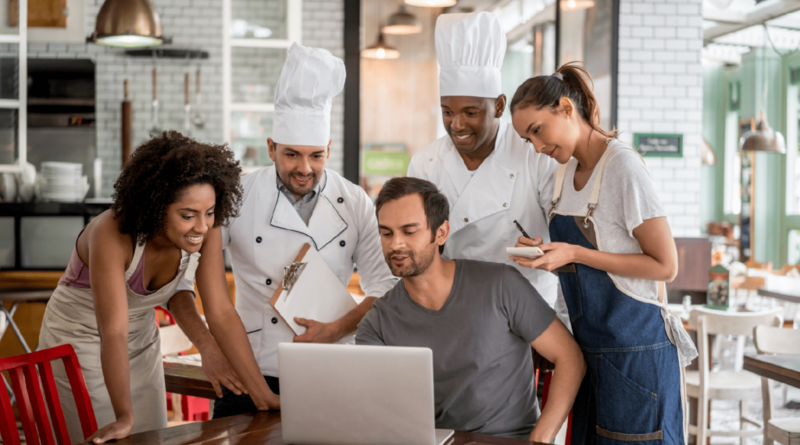 In smaller establishments, like local cafés or specialist fine dining restaurants, most of the commercial duties will be undertaken by the owner, the general manager or sometimes the chef. 1. Front of house restaurant jobs are customer-facing roles such as bartender, server and general manager. Front of house employees have contact with customers and are responsible for providing them with the best experience. 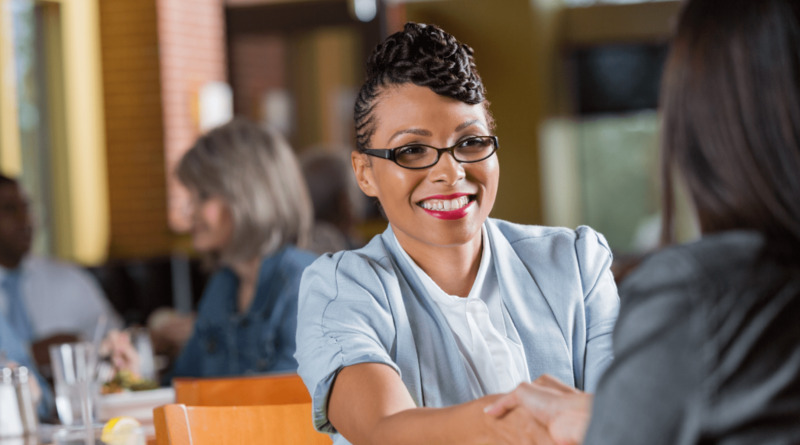 Due to the fact that front of house staff have interaction with customers, their interview questions must be geared towards determining whether they’re friendly, customer-service oriented and can work on their own initiative. 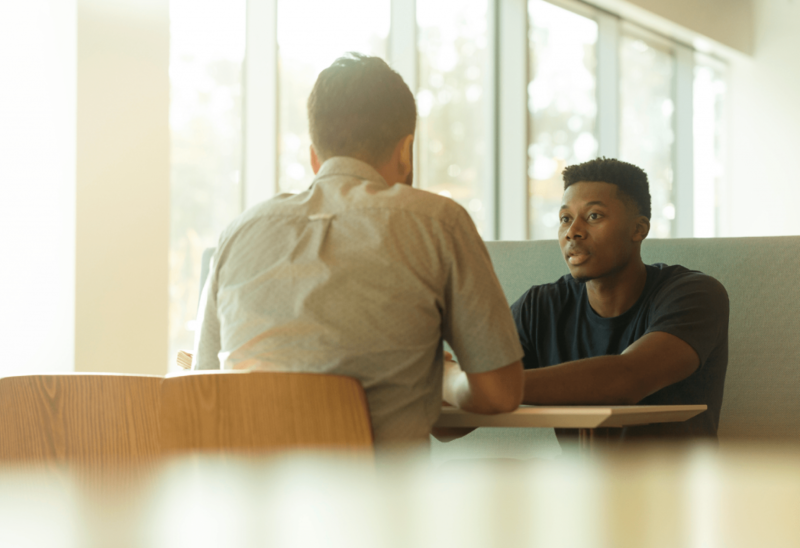 When compiling interview questions for your restaurant’s front of house staff, you’ll also want to find out whether they’re a quick learner. Your customers will be asking your front-facing staff questions about the menu, drinks and anything else relating to your restaurant. Therefore, it’s important that they have spent time gathering this knowledge to answer questions confidently. 2. Back of house are roles that relate to food preparation, for example, prep cook, chef, and dishwasher. The kitchen manager and chef are responsible for ordering food, setting the menu and training staff in smaller restaurants. 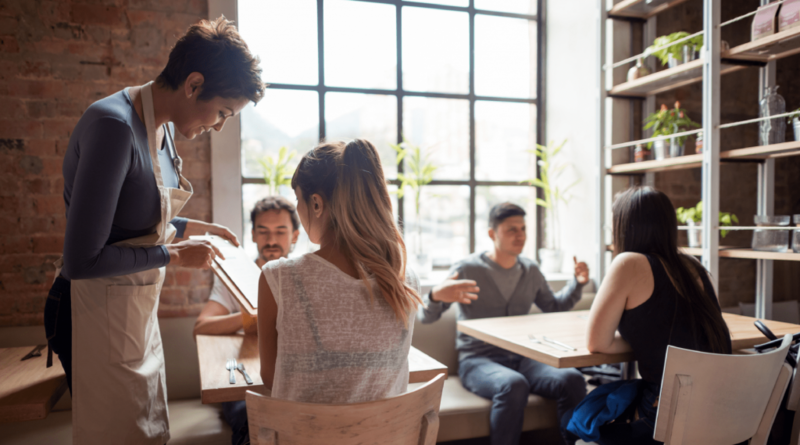 In restaurant chains, the general manager is tasked with both front and back office jobs to ensure that the kitchen and the dining area run efficiently. 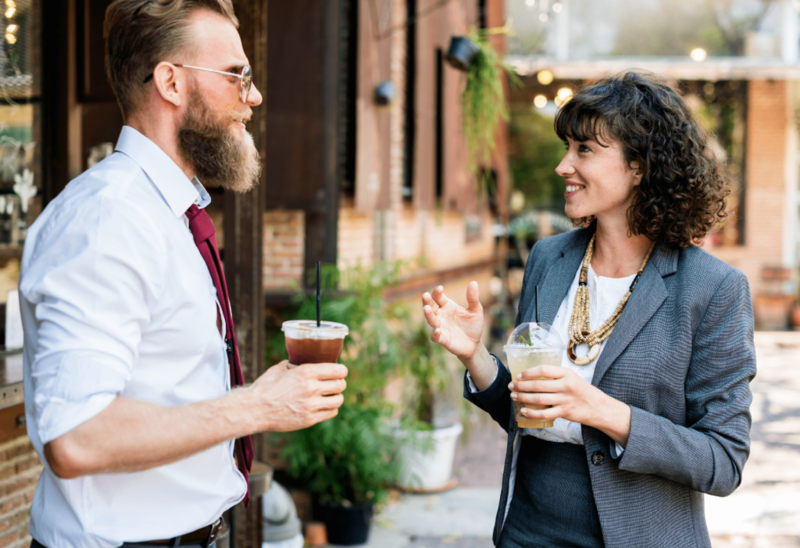 When preparing interview questions for your restaurant’s back of house staff, keep in mind that they still need good people and communication skills even though they’re not in direct contact with your customers. 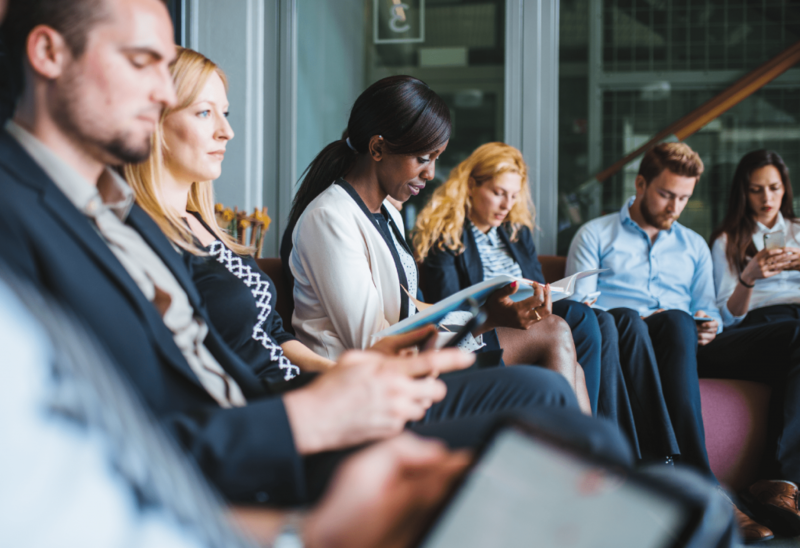 As well as being proficient in their area of expertise, back office staff need to be able to get on with their colleagues, especially when under pressure. 3. Specialist restaurant jobs provide services that are generally unavailable in standard restaurants. An example of a specialist position in a restaurant is a hibachi chef who prepares food in the traditional Japanese way over an iron grill at (or near) a customer’s table. Another specialist restaurant position is a sommelier who specializes in fine wine and food pairings. 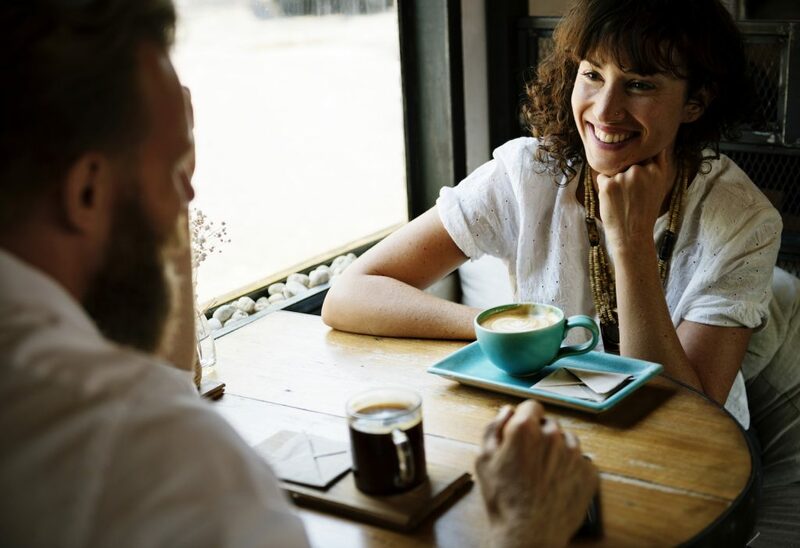 The interview questions for your candidates who want to specialize at your restaurant has to be in-depth enough to establish their level of expertise. For applicants who are looking for a career in the bar trade, a bartender apprenticeship is a good place to start. Apprentices learn how to prepare and serve drinks, offer customer service, handle payments and everything else that’s required for a successful bartending career. Do you have any experience in bartending? What steps have you taken to further your bartending career? What are your career goals if you’re successful in completing this apprenticeship? A restaurant area director provides strategic direction to general managers. The area director supports general managers that are based in a specified area. They’re responsible for reinforcing the restaurant’s culture and values and must be dedicated to raising the restaurant’s standards. Describe a time when you dealt with issues with a subordinate’s performance. An area director is responsible for the well-being of several staff and restaurants. How do you ensure that each restaurant is functioning at its best? How do you motivate employees under your supervision? An assistant chef reports to the Sous Chef or the Executive Chef. They’re responsible for food preparation, plating dishes and quality control of the dishes that are served. In large kitchens, assistant chefs are normally responsible for preparing one type of food or are allocated to work at one station. Since you’ve been an assistant chef before, describe a typical work week for the position. A restaurant’s assistant general manager supports the General Manager by ensuring employees stick to their routines and tasks. They also have interaction with customers to make sure that there are no issues. An assistant general manager is also responsible for training employees. What would you do if you had to make an important decision, but couldn’t get hold of the manager? What steps would you take if an employee was underperforming? What types of reports do assistant general managers need to prepare? An assistant kitchen manager is responsible for food cost management, quality control and all areas relating to the kitchen. They’re also responsible for hiring and training kitchen staff and ensuring that all equipment is fit for purpose. How do you deal with challenging staff? What are your greatest weaknesses and how does this affect your work as an assistant kitchen manager? A baker produces small amounts of baked goods for customers to eat in the shop or to take away. They’re normally back of house staff, but occasionally step in to take customer orders if the restaurant is busy. A baker also conducts quality control to dispose of expired or damaged ingredients. How do you keep to schedule and remain organized while baking? How will you cope when our bakery gets busy and a long line is forming? Do you enjoy decorating cupcakes and cakes? A bakery-cafe associate prepares the workstation for opening times. They also prepare hot and cold drinks and ensure that products are displayed in the proper display cases. Bakery-Cafe associates serve customers and make sure that supplies are fully replenished behind the workstation and on the shelves. Can you name a time where you handled a difficult task? Have you eaten here before? How did you find the service? A barback is responsible for getting the bar ready for opening time and supporting bartenders. Barbacks replenish stock, deal with deliveries and ensure that the bar and the customer areas are clean and orderly. How did you start working as a barback? What motivates you? Provide some examples of tasks you’ve done as a barback. How do you deal with irate customers? A barista prepares and serves hot and cold drinks to customers. A skilled barista is knowledgeable about different types of coffees and is able to educate customers as well as suggest suitable accompanying pastries and cookies. Why is it important to keep the barista station clean during your shift? Would you give one of your friends a coffee ‘on the house’? Are you a trained or self-taught barista? In what ways has your training prepared you for working here? A bartender prepares cocktails and mocktails and serves them to customers at the bar. They’re responsible for accepting orders from customers and wait staff and making drinks recommendations. Bartenders also have a duty to check identification to verify that the customer is of the legal drinking age. Would you do anything different for customers on special occasions, like birthdays and bachelor parties? How do you make a White Russian? When a bar is full of customers, how do you decide who to serve first? A bus person (or dining room attendant) assists the wait staff, so that food can be brought out quickly. They’re responsible for clearing plates, cleaning tables, topping up diners water and other tasks that keep the restaurant in order. Do you have any related education or qualifications? Describe your experience working in a restaurant. As a Bus person, how do you make sure that customers have an enjoyable dining experience? A restaurant cashier accepts payments for food and drink to take-away or to be consumed on the premises. They’re responsible for handling money and making sure that their cash registers are balanced at the end of their shifts. Your register is short at the end of the night. What do you do? How do you handle a customer who insists that they’ve given you $20 when they have given you a $10 dollar bill? Describe what you believe is excellent customer service. A chef is in charge of overseeing kitchen staff and food preparation. They coordinate the work of Sous Chefs and plan menus and develop new recipes. What steps do you take to develop and maintain strong relationships with your vendors? What’s your involvement in managing food costs? If you could make any amendments to our menu, what is the first thing you would do? A Chef Manager (also known as the Head Chef or Executive Chef) goes beyond the duties of a regular chef. Their responsibilities include managing the kitchen, purchasing, and inventory. They’re also tasked with creating menus, setting prices, staff budgeting, and employee scheduling. Provide an example of someone you have trained. How has this person progressed since you trained them? Given that you have so much to juggle as a chef manager, how do you plan to take ownership of the kitchen and staff? What would you do to control labor costs that are running high? A cook helps the chef to create new ways to cook and also new menu items. As well as cooking food, cooks also prep ingredients and ensure standards of hygiene are adhered to. How do you handle stress at busy times? What do you do if someone gets burned or has a bad cut? What would you do if an item was running low, but you were busy doing something else? A dining room manager supervises wait staff and hosts. They’re responsible for coordinating workers and also have a say in hiring and firing employees. A dining room manager’s role involves monitoring budgets and maintaining bookkeeping records. What personal development have you undertaken in the last year to be more effective in your role? What specific past experience do you think will be of most use to be a dining room manager at our restaurant? A dishwasher cleans utensils, dishes, and equipment in a restaurant. The dishwasher is responsible for maintaining hygiene standards to ensure that chefs work in a clean and orderly kitchen. It’s important to be able to work quickly. Are you efficient with your time? As you have no dishwashing experience, give us three reasons why we should hire you. What type of atmosphere do you like to work in? A fine dining restaurant manager coordinates the restaurant’s staff in order to provide the highest level of service to customers. They’re very attentive to customers’ needs to ensure that a superior service and food and drink quality is maintained. What do you do if a customer informs you that they’re gluten intolerant? Give an example of a time when you exceeded a customer’s expectations. Tell us about a time when you anticipated a guest’s needs. A food runner helps waiting staff by running food from the kitchen to the tables. They’re responsible for delivering customers’ food promptly without errors. A food runner organizes tickets and communicates with kitchen staff about the progress of the food. The customer said that they ordered a rare steak, but they have received one that is well-done. What do you do? Tell me about a time you had to deal with a difficult situation. How do you deal with extremely busy periods? A front manager ensures that customers have a pleasant experience in the restaurant. Therefore, they’re responsible for hiring, firing and training other front of house staff. They also schedule staff to provide adequate cover for the restaurant. Have you been a customer at our restaurant before? Please describe your experience. How do you deal with impromptu changes, like the kitchen running out of a menu item? How do you ensure that there’s always the right amount of staff working at any given time? A host provides guests with a warm welcome and shows them to their seats. They also schedule dinner reservations, allocate seating and cater for any special requirements the customer has. Why should you smile at every customer? Give an example of when you’ve had to resolve a conflict with a customer. A kitchen manager organizes back of house operations and staff. They’re responsible for hiring, firing and training staff. Kitchen managers also purchase equipment and food supplies. How do you keep positive and motivated when times get stressful? Tell us about your work ethic. What part of the kitchen manager role most appeals to you? A lead cook has some supervisory responsibilities in the kitchen, but don’t assume as much responsibility as a kitchen manager or a chef. They’re in charge of some cooks and are tasked with adhering to kitchen safety and sanitation conditions. What were your main responsibilities as a lead cook? What qualifications do you have for this role? What is the hardest part of working as a lead cook? A line cook reports to the Sous Chef and is responsible for prepping and assembling ingredients. They have to work to the chef’s specification of how the food should be prepared. What is the difference between braising and broiling? What dish best showcases your creativity? Tell me what you would do if you couldn’t find a brand that chef asked for when shopping for ingredients. A pantry chef works in the cold kitchen preparing cold food items like salads. Their duties include preparing ingredients and maintaining a clean kitchen environment. Describe the ways you clean and sanitize work areas. Tell us about a time when you accurately recorded food use. Share an experience where you cleaned fish or poultry. A prep cook does the necessary tasks to prepare food. This includes parboiling food, cutting meat and reducing sauces. They normally report to the Head Chef and work earlier shifts to have everything ready for when cooking starts. How would you deal with a chef that has asked you to prepare a sauce you have never done before? What would you do if you need to ask the chef a question, but he’s not available? Describe your food handling experience. A restaurant general manager is in charge of maintaining the restaurant’s quality and profitability. They’re responsible for high-level operations in both the front and the back of house. Their tasks include hiring and firing staff, setting staff schedules and ensuring that the restaurant complies with the relevant regulations. Tell me what you think is the most important part of the role. Describe the worst employee you have managed. How did you deal with them? How would you approach the chef about an unpopular dish on the menu? A server is a front of house restaurant staff member and is responsible for taking orders, serving food and drinks and processing customer payments. What are your feelings about tip-sharing? Describe a time when you had to calm an upset customer down. A shift supervisor oversees the restaurant when the manager is away. They are responsible for coordinating employees and ensuring that customers have a good experience at the restaurant. What are the top three most important skills to have as a shift leader? How would your previous manager describe your communication style? Tell us about a time where you resolved a problem between two employees. A sous chef is the second in charge in the kitchen. They report to the Head Chef and oversee the preparation and cooking of food. They manage staff to ensure that quality, safety, and hygiene standards are upheld. What is the most challenging aspect of being a sous chef? What do you do when you feel like you have been given too much work to do? How do you keep up with the latest food trends? Of course, the most important ingredient for an efficient and successful workplace is a highly-skilled and hard-working staff. And for that, you need to be willing to invest time and money in hiring and training the best crew possible. Technology is one way that has transformed many industries and can enhance your restaurant production. Tools like Deputy make it easy to schedule servers, bartenders, cooks, and baristas in seconds. 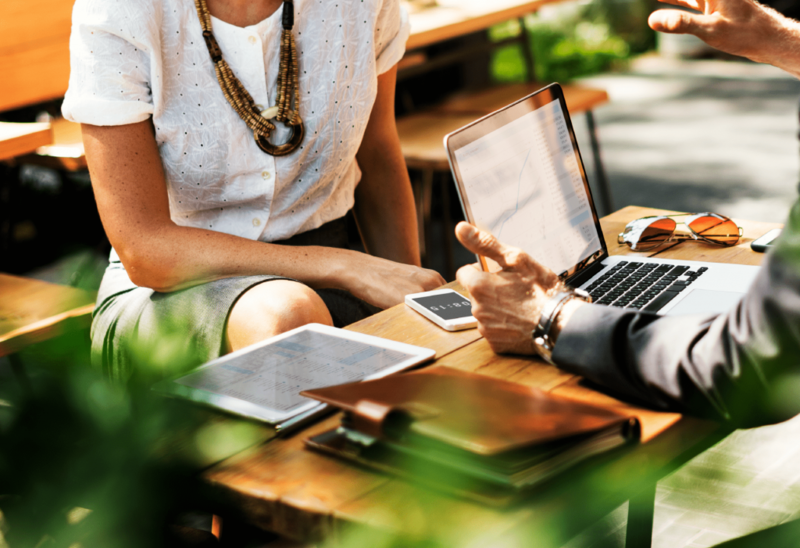 Training your staff using the latest technology will not only benefit your employees, but it will also save you money and time in the long run. Use the above restaurant interview questions to help you select the right employees that you can invest in. The post Restaurant interview questions for every position appeared first on Deputy.